You can enable upload/download email notifications for a particular folder template by user group. 3. Choose a template to edit and click View and edit templates (the pencil icon). 4. Select the specific folder template to set notifications for and click Configure node (the gear icon) and select Edit folder. 5. Under Notifications, click the + icon to add users or the X icon to remove users. 6. 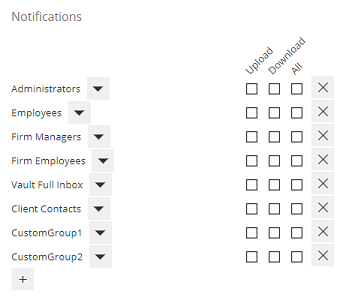 Select the Upload, Download, or All checkboxes to set notifications for a user group. 7. Click the Save changes icon. 8. 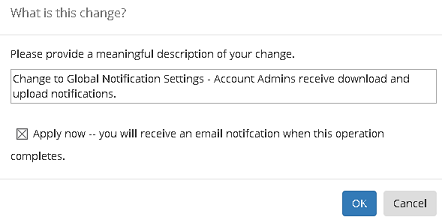 Enter a description of the changes you made, enable the Apply now checkbox, and click OK. 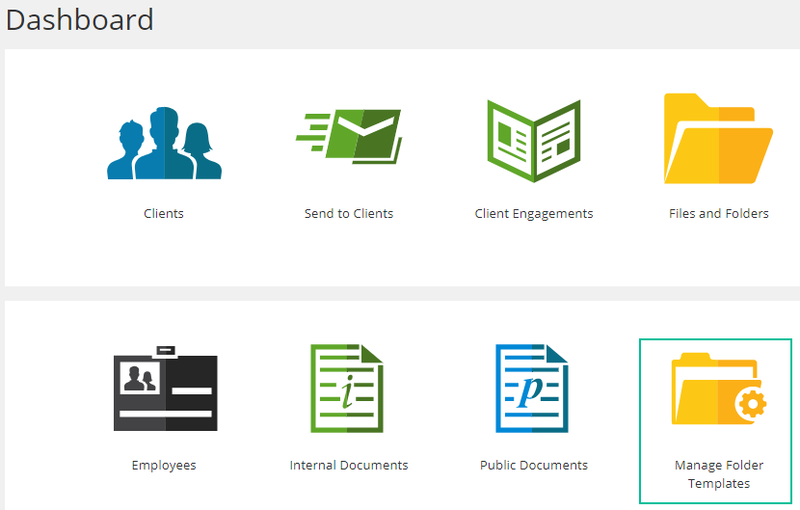 The user groups you selected will receive email notifications for uploaded or downloaded documents for all folders previously created with this template and folders created with this template in the future.